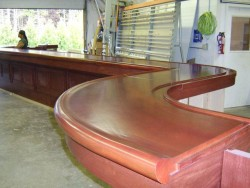 Services — curved wood moldings Thomas & Milliken Millwork, Inc.
For your shop drawing submittals or concepts ideas. TECHNICAL & PRODUCT SPECIFICATION EXPERTISE FROM OUR BOARD EXPERIENCE IN THE CUSTOM & MILLWORK PRODUCTS BUSINESS. Available on our two 26’ curtain side box delivery trucks or pick-up trucks, direct to the job or our TC showroom for customer pick-up. Stain, clear coat or primed finishes are available. Your products arrive ready for installation.